Geva Theatre Center unveiled its 2018-19 season this afternoon, a lineup that again includes a popular older favorite and several new works. In the season, Geva continues its commitment to staging premieres of new works and to multi-cultural works. "Thurgood," by Lou Bellamy, the story of the Supreme Court's first African-American justice, October 16-November 18; the world premiere of "Hard Cell," by Brent Askari, which Geva bills as "a madcap new comedy of errors and mistaken identity," January 8-February 3; the Tony Award-winner "The Humans," by Stephen Karam, February 19-March 17; Karen Zacarías' comedy "Native Gardens," March 26-April 21; and "Revival: The Resurrection of Son House," Keith Glover's celebration of the music of the blues artist who spent part of his life in Rochester, May 1-June 2. The season for Geva's Fielding Stage: "Fortune," a romantic comedy by Deborah Zoe Laufer, co-produced by Geva and Ithaca's Hangar Theatre, October 4-21; "The Magician's Daughter," a world premiere by Lila Rose Kaplan, inspired by Shakespeare's "The Tempest," January 24-February 10; "The Royale," a drama set in the Jim Crow period, by "Orange Is the New Black" writer Marco Ramirez, April 11-28. 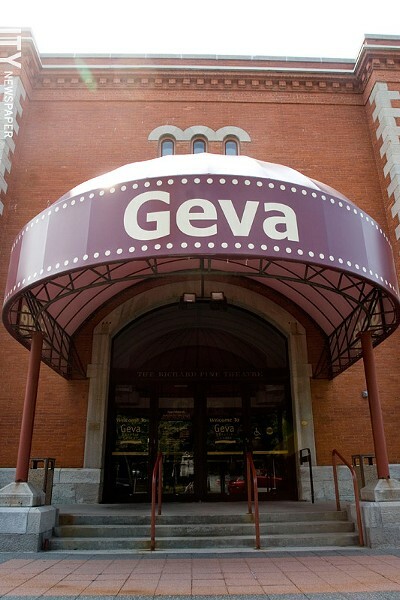 Geva's "special productions and events" next season: the KeyBank Rochester Fringe Festival, September 12-22; the Festival of New Theater, with more than 330 works that are under development, October 29-November 11; "A Christmas Carol," November 29-December 29; and a return of "Erma Bombeck: At Wit's End," March 12-31.